Just what is a ‘seed bomb’ you ask? 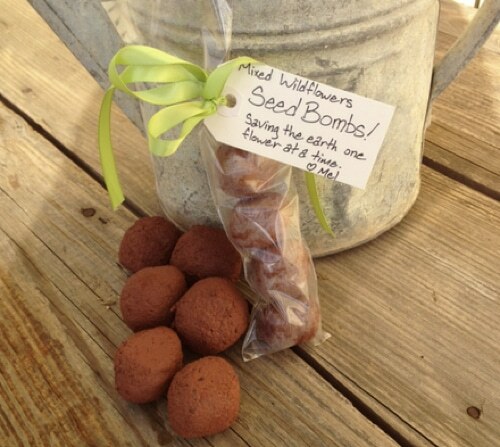 Basically, you’re making a hyper-concentrated clay and dirt bomb loaded with seeds. This is a great project for the kiddos and fun for everyone as they mold the dirt, clay and seeds into little plantable balls.